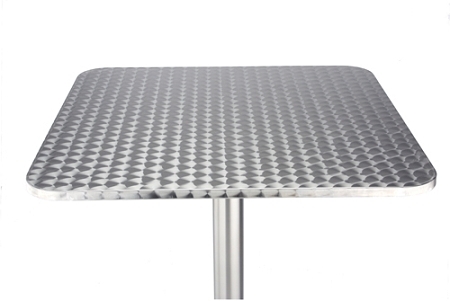 22mm thick stainless steel square table top. 1mm thick stainless steel wrapped over an MDF core. Has a melamine coating on the underside to resist moisture. Has a swirl pattern on top and edges for that custom look. Great for outdoors in a covered area or indoors.